When it comes to team building activities, we’ve got you covered! 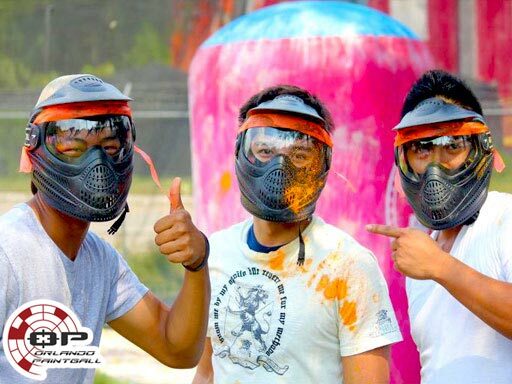 Orlando Paintball is a unique, and different activity that is naturally team building and requires communication skills to accomplish the scenario objectives. IT IS AMAZING HOW QUICKLY PEOPLE ADAPT TO WORK TOGETHER, WHEN SURVIVAL BECOMES THE ISSUE! Even though the assignments are demanding, and teaching, they are in the end a whole lot of fun and an unforgettable adventure! We have a large selection of team, individual, and/or tournament format games available to choose from. To promote Team, Communication and Leadership skills, our service professionals can select a specific set of games, and tailor a package to meet your specific requirements.